A reader-friendly presentation of the history of Christianity from the time of Jesus to the early missionaries in the sixth century A.D., written by one of the evangelical world's most respected professors. The early years of the Christian faith saw remarkable growth amid reccurring persecution, the emergence of theological consensus amid controversy, and the eventual dominance of the once outlawed faith throughout the Roman world. Volume 2 of The Kregel Pictorial Guide to Church History brings to life the great leaders and conflicts that shaped the early church, as well as the cultural and political developments that shaped the world at that time. 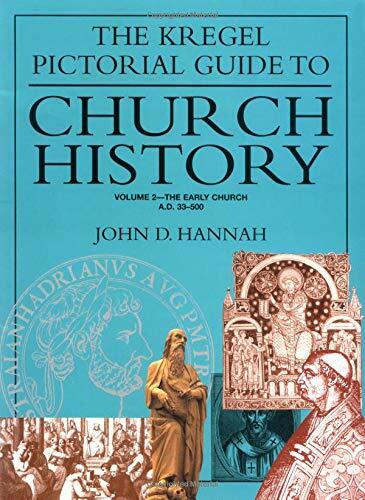 Author John Hannah provides a reader-friendly introduction to church history with easy-to-follow summaries of key personalities and crucial developments in the churchÕs first centuries. Fully indexed and filled with four-color charts, maps, photographs, and illustrations, this concise guide to church history is perfect for personal study or classroom use. John D. Hannah is Distinguished Professor of Historical Theology and Research Professor of Theological Studies at Dallas Theological Seminary, Dallas, Texas.